Harar is an ancient walled town with many unique historical and cultural features. Its historical foundation goes back to the end of 10th A.D. Harar became strong in 16th c. It was the time of the emergence of the Muslim leader from Adal Dynasty, Ahmed Ibn Ibrahim fought with the Christian kingdom of Ethiopia. 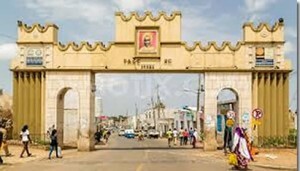 It was also in this period Harar was walled by Emir Nur to protect the Harari people and their territory from outsiders. Harar upto 19th century for about two centuries autonomous and used to be ruled only by its own ‘Emirs.’ During the Emirs period, Harar was the center of commercial activity. It used to mint its own coins and the trade relationship was much flourished. to the Harari people the Oromo and Amhara people are living. The surrounding area is inhabited by the Oromo People. Harar is considered as the fourth sacred Moslem city in the world. There are about 99 mosques and shrines in Harar. There are historical and cultural sites to be visited in Harar like the wall and the gates, the markets, the Harari traditional house, the Rimbaud house, and the hyena man. A day excursion can also be made to Babile elephant sanctuary and the rock marvels valley. Dire Dawa was founded in 1902 after the Addis Ababa-Djibouti Railway construction reached the area. The mountains around Harar were setback for the railway to Harar and hence Dire Dawa after its establishment became important and center for trade between Addis Ababa and Jibouti. Dire Dawa is the second largest town in Ethiopia. The major ethnic groups in Dire Dawa are Oromo (takes the biggest percentage), Amhara, Somali, and Harari. The majority of people are Moslems. Dire Dawa is separated by seasonal Dachatu River. In Dire Dawa the traditional market, Kerefa, the Taiwan market, the railway station, and Haile Selassie palace are worth to vsit. Dire Dawa boasts for international airport.Cave Painting – The 7000 years old paintings of animals on cave is visited nearby Dire Dawa.